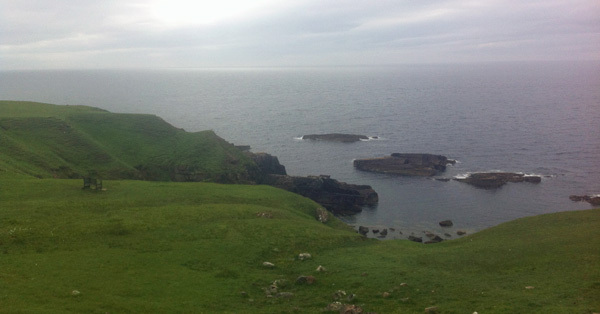 The third day of Northern Jaunt consisted of exploring the fluffy edges of the west coast. For such a relatively small area – at some points we were barely 60 miles from Inverness – the contrasts in the landscape were mind-boggling. First we headed north from Kinlochewe, along Loch Maree then around the coast to Poolewe then taking the slower coastal route back down to Ullapool. We lucked out with another fine day so could take in all the grey jaggy mountains, white beaches and stonking sea views, with no company but the occasional campervan or motorbike. Then came dozens of lochs, full of lily pads in full bloom. Gareth said I would regret not stopping for a pic and now I do! 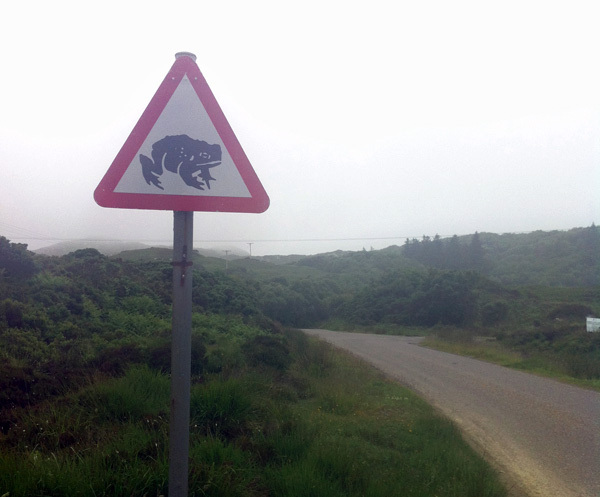 It was such a weird sight; like nowhere else in Scotland. I love this country so much. I can’t think of anywhere that packs so much contrast into such a small space. 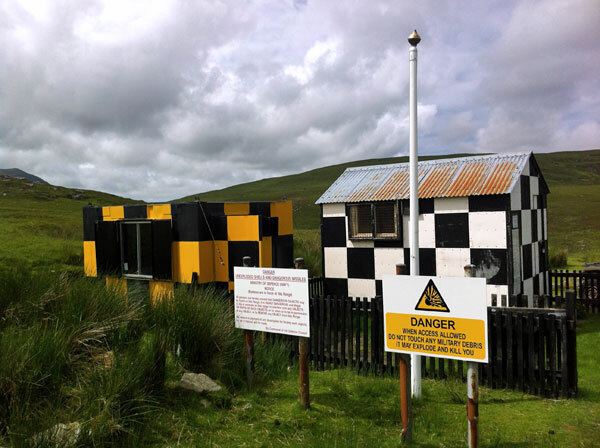 We took another detour to Stoer Head, where in the middle of bloody nowhere you’ll find a lighthouse, assorted sheep and seabirds, and apparently The Most Remote Public Toilet In Mainland Britain. Loyalty card. First visit is £1, but subsequent visits are only 50p! 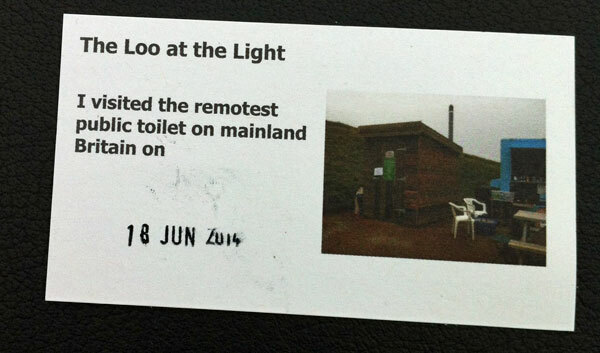 There is some controversy as to the legitimacy of this remote loo claim, but I was busting so didn’t really care. Finally we headed north again into Sutherland, where the landscape gets even more spectacular. Total photographic fail there; I had to sit back, shut up and drink it all in. The mountains are grey and rocky and desolate and ancient and you can imagine some epic murderous TV series being filmed there. Ahhhh I loved it so much. Me have no words. 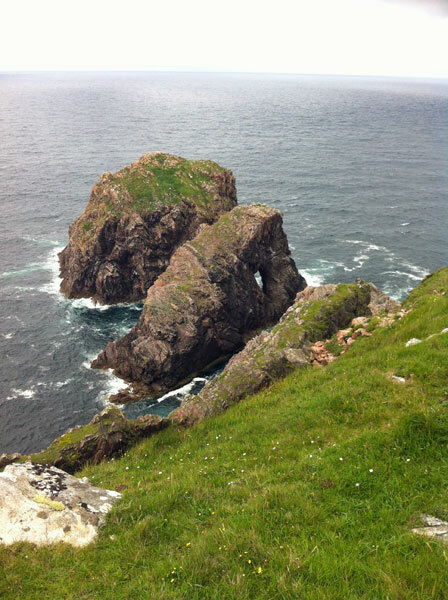 … then on to the main objective: a visit Cape Wrath, the most north-westerly point of mainland Britain. 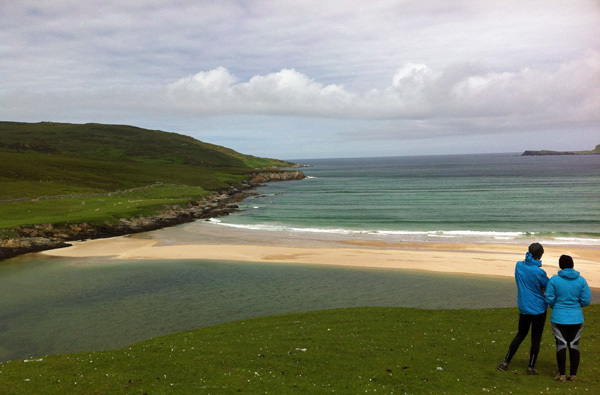 It’s called CAPE WRATH… how can you resist a name like that? Much of the cape is owned by the Ministry of Defence and is used as a military training area, including a live firing range. We had to wait about 90 minutes once we got over there as they were cleaning up from exploding some top secret things. … with some beautiful beaches along the way. … but mostly miles of bleak moorland that’s perfect for testing your evil weapons. 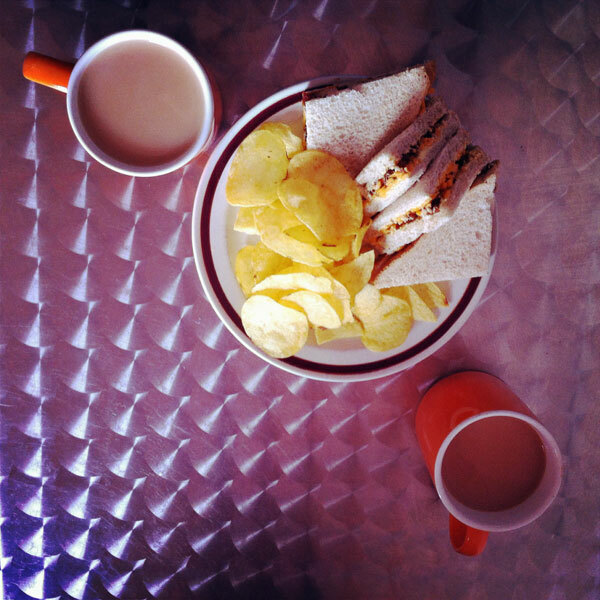 … plus Mainland Britain’s Most North-Westerly Cheese and Pickle Sandwich. 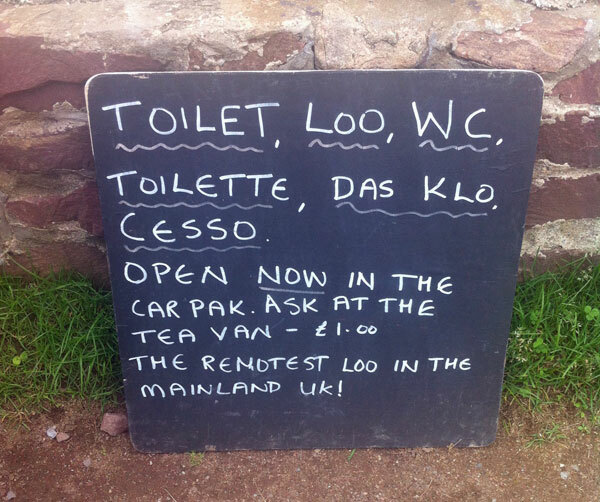 Please note that there is NO PUBLIC LOO on Cape Wrath (perhaps under threat from the Stoer Lighthouse people). So if you do want to indulge at the cafe, be careful about your beverage consumption. Once ferried back we drove the 2.5 hours back to Inverness, which seemed very sedate after all that dramatic scenery. I spent ages drawing this stupid squiggle to show the trip route now I’ve realised I totally left out CAPE WRATH. I am not going to redo it a 15th time, so just imagine that top left-hand corner is also conquered! 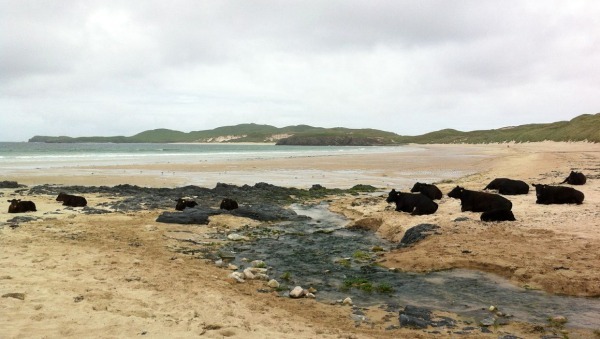 OK, now you’ve got me thinking ALL beaches should have cows. Although it would be slightly better if at least some were wearing bikinis, so we could all just f–king RELAX about this stupid “beach body” nonsense. 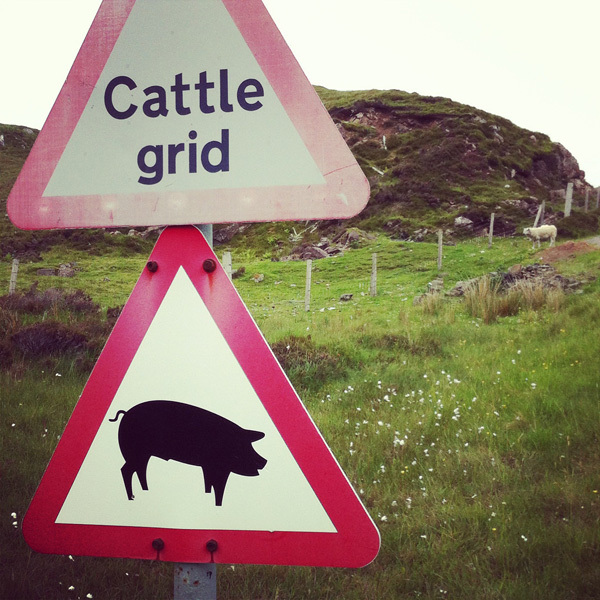 And being the wrathful sort, I gotta love Cape Wrath. I wonder if somewhere there is a Cape Cranky? That would be even better. Also, on a totally unrelated topic, your name came up at Fitbloggin’ and there was much discussion of your awesomeness. Hope to see ya IRL again sometime! oooh! gorgeous, yet sinister…. glad you got out alive! 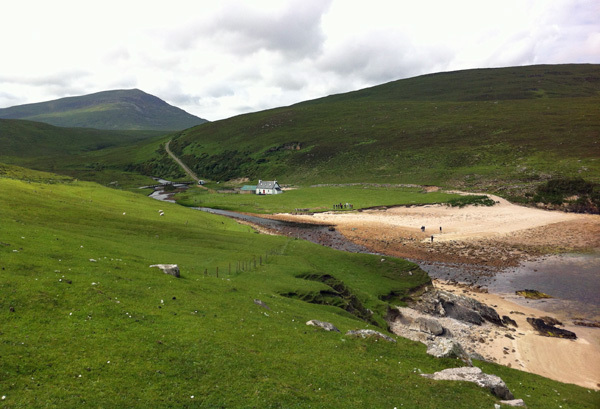 I LOVE Cape Wrath! Awesome name, awesome place. And the stories of children tethered to the hillside so they didn’t blow away….and the old school which is now a MOD chequered building….and only getting there in a beaten up mini bus driven by Jim….. Thank you for the reminders of a fantastic trip there (we drove the coastline of Scotland one summer). I would love to go to Cape Wrath! It all sounds so incredibly beautiful. 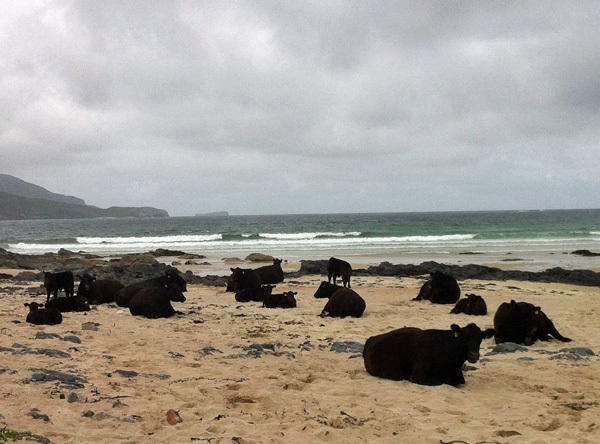 I wondered why the cows would sit on the beach… But it looks like they might have needed the warmth from the sand. I love your photos and I’m glad you are going on these adventures so I can drool vicariously. P.S. It seems you should always listen to Gareth. Don’t tell him I said so, though. Hee hee! You’re right Jen, there’s a definite pattern here, isn’t there!? Looks like a lovely trip, Shauna. There’s a cape grim in Tasmania, Australia. But no beached cows. 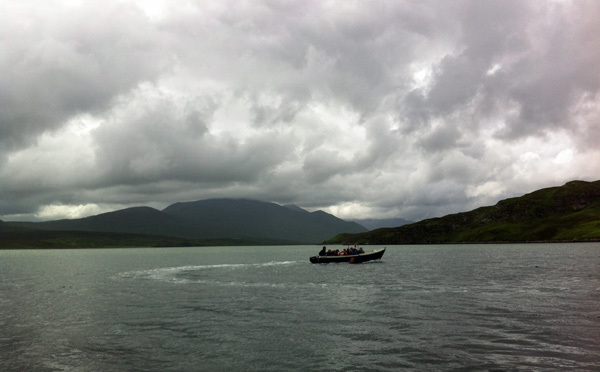 Love the description and photos of your trip around the north west of Scotland. Wow, I am so jealous. Simply awesome. Thank you for posting such lovely photos! Scotland is a wonderland. OK. Now I know you are certifiably insane. We drove about half that distance around Scotland. No, less – and it’s a hard slog. Nothing like charging up the Hume Highway, really, is it? The contrasts in such a small space really are amazing. We found the same thing in the Lakes District. Pretty, winding country lanes with white sheep and wildflowers. And suddenly up a hill and you’re on the moors with craggy bald mountains, scree that looks like I tight slide down onto the road any minute and ragged looking mountain sheep wandering out on the road. And the gradients almost made me crap my pants. On two-way roads barely wide enough for one small car.